Are you kidding? I've only been interviewed once before (at Halloween), but that was by a long time reader-turned-blogger. So, as you can probably imagine, when I was told, out of the blue, "Someone wants to interview you for their blog," I almost fell over. When I was first given your contact information, actually, I thought fate smiled on me, 'cause one of my first novel characters (not in this work, but another that I'm putting through pre-edits now) is name Kai-Yun. 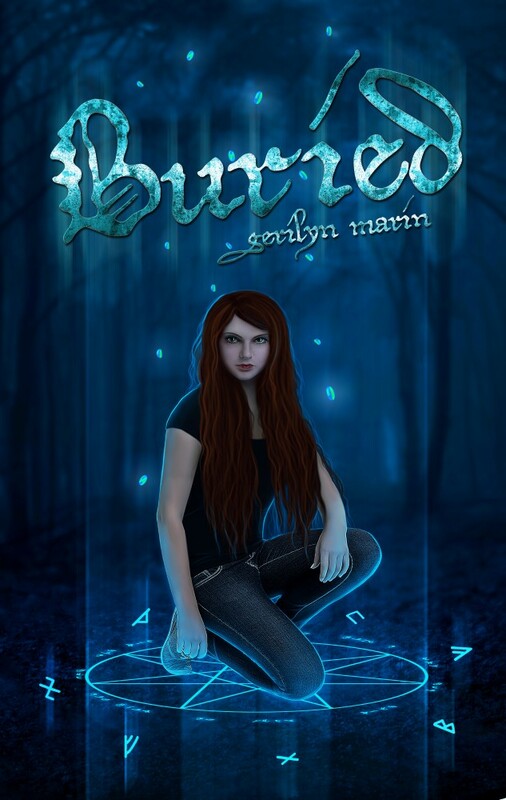 Readers, our enthusiastic guest is author, Gerilyn Marin. Gerilyn, tell us about yourself, please. —I am a wife and mother of four (we just celebrated my baby girl's first birthday).Born and raised in Queens, New York. I'm a believer in paranormal phenomena, and make my husband sit through countless documentaries on archeology and ancient cultures with me. On the flip side, I'm also a huge fan of anime & manga, and indulge in the occasional video gaming-binge. I trained in Taekwondo during my teenage years, spent a lot of time stomping around Greenwich Village and frequented gothic landmarks (the nightclub 'The Bank', and the clothing shop Funhouse) that—heartbreakingly—no longer exist. 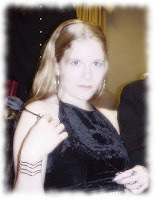 I really only write paranormal/urban fantasy 'cause that's where my heart lies. I was raised with a healthy respect for the supernatural and come from a family with a history of psychic sensitivity. I, personally, have no interest in stories that do not have anything paranormal in them. I find normal boring, I think J. I'm extremely proud to be able to say that I have received several awards and nominations from 2007-2011 for my amateur writing. 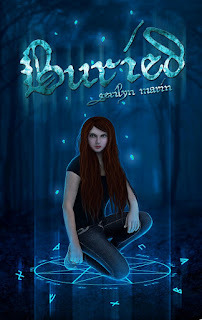 "Buried" is the first installment of a paranormal YA trilogy. 17 year old Cadence McKenna lives in the small, East Coast town of Fane's Cove. Fane's Cove is a peculiar place in hauntings and poltergeist activity are considered regular happenings, and newcomers to town are extremely rare. Cadence becomes reluctantly fascinated with the new boy, Grey Addison . . . because he's normal, and that doesn't sit right with her. Normal just doesn't happen in Fane's Cove. In an effort to figure out who he 'really' is and why he's there, Cadence tries to get close to Grey. Together they dig into Fane's Cove's forgotten history and learn things about the town, and their own—much more personal—pasts, than anyone would ever want to know. 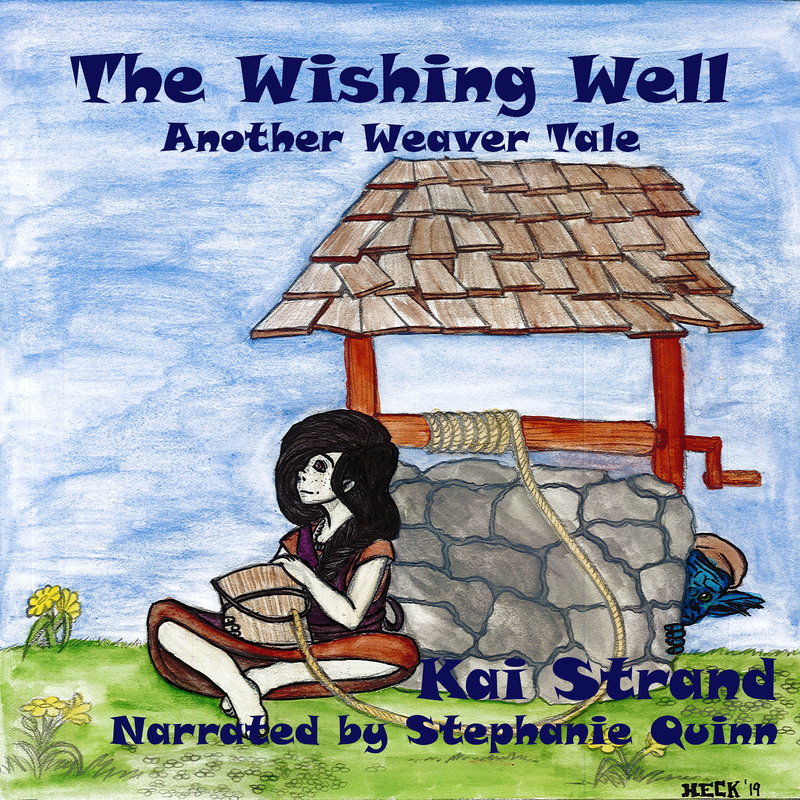 This story is currently released in serial format on my publisher's website, www.CuriosityQuills.com. Buried will be released as a complete novel on March 18th! It will include a bonus chapter as well as a preview chapter for another series of mine. 1. Tostitos with lime and Coke Zero. 2. Twizzlers (sugar free if I can find them). 3. I know this one doesn't 'munch', but I would have to say coffee! Definitely coffee, and lots of it. 2. Reading, though I can't tell you the last time I was actually able to finish a book. I'm usually a pretty avid reader, but when I'm writing I've found that I just can't focus on reading. Probably for the best, since once I start reading and get immersed, I just want to keep going and forget about my own work. 3. Actually, writing J. Fanfiction. I know, that has a lot of negative connotation (partly from authors, partly from the fact that, thus far, the literature that has been published from admitted fanfiction writers hasn't exactly been stellar). Putting the negatives aside, it's a great escape for the creative processes because you can focus on just telling a story. You're working with characters that you, and your readers, both, already know and love (or hate) so there's no ground work involved in familiarizing your audience with the people you're writing about. I also, wholeheartedly believe that for early writers, trying to find their own voice and hone their writing, it can be a fantastic medium for that very reason. Think of it like the art courses where the students are instructed to recreate works by the masters. I have many friends in the fanfiction community who are working authors, so I'm not alone in this, by a long shot. 1. Michael Turner (RIP) the comic artist of Witchblade and Fathom fame. I learned a lot of the way I draw body structure from his work. 2. Naoko Takeuchi whom, many old-school manga fans know, she is the creator of the Code Name: Sailor V and Bishoujo Senshi Sailor Moon books. 3. Rounding out this list would have to be Rumiko Takahashi, the creator of the manga Inuyasha. Gerilyn, where can our readers go to keep up with you and your writing? Thanks for charming us on this week’s Three Times A Charm, Gerilyn. I love the idea of a serial novel. Best of luck with the release and with your writing! OPEN CALL FOR GUESTS! I am always looking for guests for Three Times A Charm. If you are an author, illustrator or book reviewer, an agent or an editor. If you have something related to children’s publishing that you’d like people to know about, feel free to contact me about a future appearance. Thank you SO much for having me, Kai :). I really appreciate the support! It's great to have you. Enjoy your release, it's such a fun time for a writer! So nice to meet you, Gerilyn. I love paranoral stories too. They're fun to read and to write. Best of luck to you with you book(s).